As a freelance writer, you’ve probably seen some of the outlets you write for close down. Fear not, there are still plenty of assignments out there for you. You may just need to look in new places. While newspapers and magazines aren’t dead, stories now are being told in many different ways, and information is disseminated via many channels you may not have considered before. Whether it’s via consumer-facing company websites, blogs, white papers or infographics, there are multiple channels for freelance writers looking for assignments. Often, these alternative outlets pay far better than traditional media. 6. Book Ghostwriting. The demand for ghostwriting is on the rise, and the average nonfiction book nets rates in the $20,000-$50,000 range. Find out what you’ll need to know to succeed as a ghostwriter: Book Ghostwriting 101: What Authors Need to Know to Succeed. 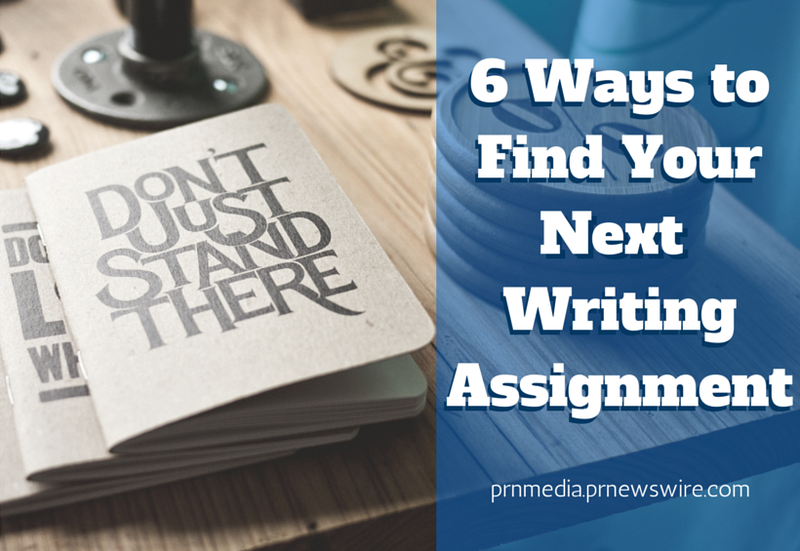 Of course, as you’re writing content for these assignments, ProfNet is here to help you find the sources you need. Our service is always free for writers. Once you have your assignment, just fill out the ProfNet Query form to find experts, and we’ll take care of the rest. It’s that simple! Paywalls: Can Paying for Information Save Digital Media?